People are living longer than ever before and society is constantly reevaluating what it means to be 'old'. Here, Exhibition Curator Tim Clark reveals why Hokusai: beyond the Great Wave focuses on the last 30 years of the artist's extraordinarily long life. Katsushika Hokusai (1760–1849) died in Edo (modern Tokyo) on the 18th day of the fourth month, according to the pre-modern lunar calendar. This was equivalent to 10 May 1849 in London. He was 90 years old by traditional reckoning. In Japan at the time, people were considered to be one at birth and their age increased by another year at each New Year, so Hokusai would have been 89 by western reckoning. 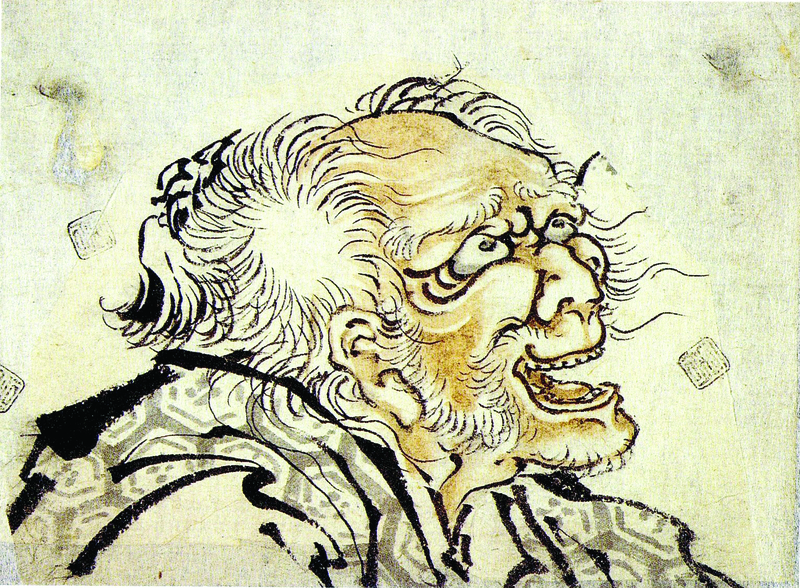 Katsushika Hokusai (1760–1849), Head of an old man. Ink and slight colour on paper, early 1840s. Collection Nationaal Museum van Wereldculturen, Coll. No. RV-2736-11/2. The first important biography of Hokusai, Katsushika Hokusai den of 1893 by Iijima Kyoshin, described the funeral. In an interview with Yomo no Umehiko (1822–1896) he recalled that Hokusai’s pupils and old friends contributed funds for a funeral with a modest coffin. About a hundred mourners proceeded to the mortuary temple Seikyōji, including samurai with retainers carrying spears and lacquered travelling boxes. This was unheard of for the funeral of someone living in the backstreets of the commoner districts of Edo and people in the neighbourhood were envious. Hokusai’s grave is still carefully maintained at Seikyōji today. 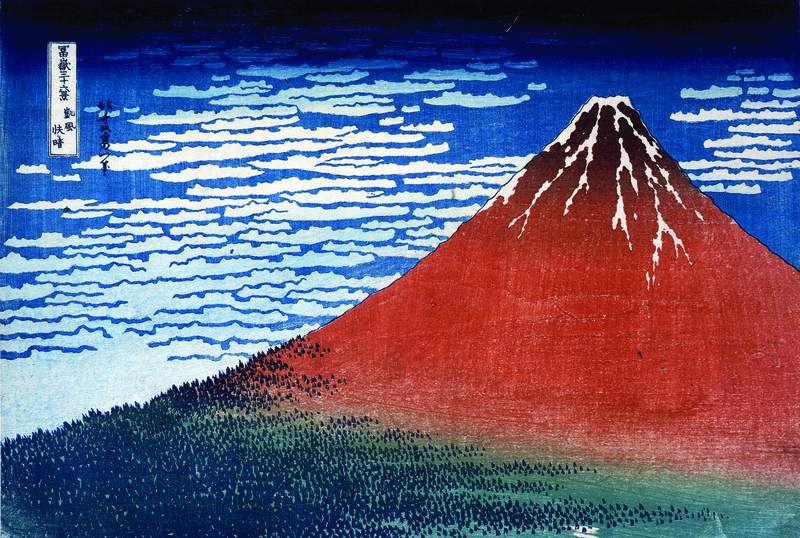 Katsushika Hokusai (1760–1849), Clear day with a southern breeze (Red Fuji) from Thirty-Six Views of Mt Fuji. Colour woodblock, 1831. 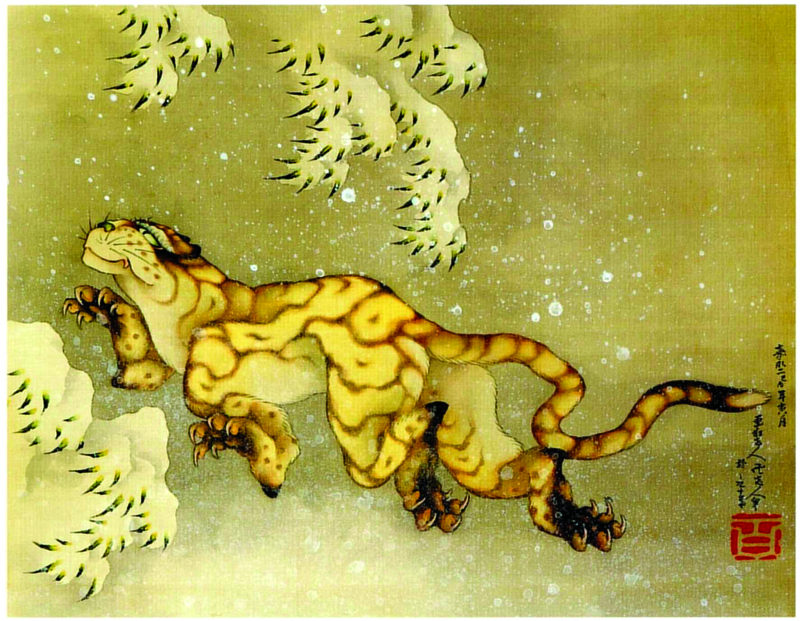 Katsushika Hokusai (1760–1849), Tiger in the snow. Hanging scroll, ink and colour on silk, 1849. Private collection, USA. The exhibition Hokusai: beyond the Great Wave culminates in a room of sublime painted works done when Hokusai was 88, 89 and 90, including this Tiger in the snow. Each scroll is signed with his age and bears a large red painting seal with a white character reading ‘hundred’. Hokusai was literally willing himself to live ever longer. Buy the book to explore the sublime paintings and prints Hokusai created in the last thirty years of his life. You can find out more about the flowering of Hokusai’s genius in his old age, and ageing artists in general, in the range of exhibition events.